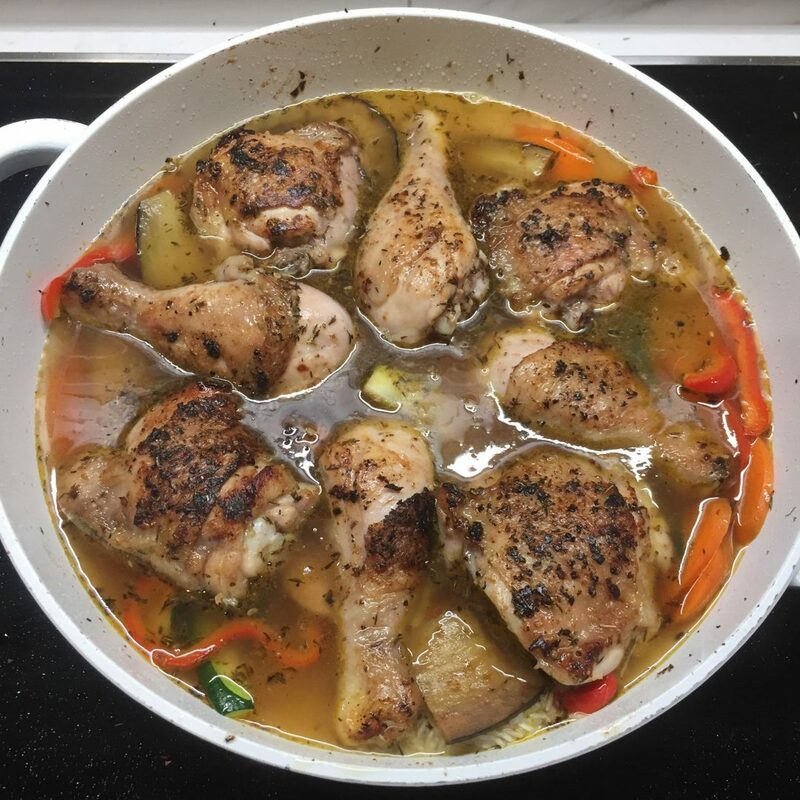 On the weekends my husband loves to cook up something different in the kitchen and not long ago he stumbled across a one pot chicken recipe on Taste. It was a relatively quick, easy recipe that involved grilled vegetables from a jar and a certain pre-spiced chicken from a a major supermarket. When everyone inevitably wanted that delicious dish again, and it was my turn to make it, I was lacking the exact ingredients and winged my own whole food, butcher and market version. Okay, and I also threw some extra vegetables in because that is my prerogative as a mother. Side note: it’s still an easy and scrumptious dish that everyone will love, and it’s even better for your insides!